This is an excerpt from THE BOOK OF NABU, named for he who is found among the “younger pantheon” of Anunnaki ‘gods’ (such as were observed in Babylon and then later in Egypt). 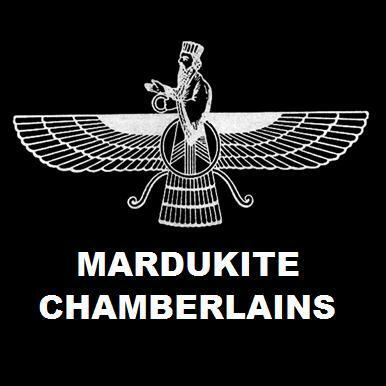 NABU is one of the key figures (sometimes spelled NEBO in later Semitic languages) who recorded and maintained the tablets of the Babylonian Tradition– the prophet-son, Mardukite herald and heir of the god of Babylon: MARDUK. 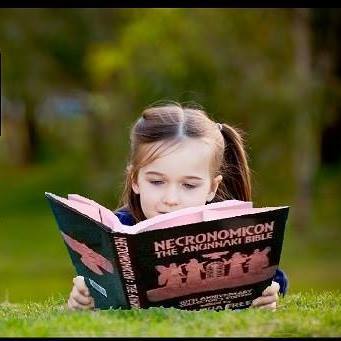 THE FIRST TABLET OF NABU is from the Mardukite Tablet-T Series found in the Year-1 ‘Mardukite Core’ released in the Necronomicon Anunnaki Bible, in addition to the Legacy Edition, the Compact Edition and the Babylonian Magick (Grimoire). Under the name and title of NABU-TUTU [which can be found listed among the “Fifty Names” from the Enuma Elis and translated as TAHUTI in Egyptian systems], NABU heralded the age and wisdom of MARDUK and under the direction of his father, recorded the legacies of the gods, kept safe the secret knowledge and prayers of the ANUNNAKI, and also the magick of ENKI, all of which could be maintained for posterity by a sacred priesthood – later collected in modern times as the “NECRONOMICON ANUNNAKI BIBLE” – and the NECRONOMICON ANUNNAKI LEGACY (SILVER EDITION) – am authentic book of dead, ancestral names, memories and powers! The Earthling spouse of MARDUK and mother to NABU — SARPANIT (seventh generation born from Adapa) — is rarely given respect as the “way to her husband’s ear and favor” in the traditionally understood pantheon, but NABU, being half-divine (directly the son of MARDUK) was given a position and ranking among the younger Anunnaki — after the rise to supremacy of MARDUK, recognized in Egypto-Babylonian lore, who then required a legal heir, NABU — and charge of his own Gate. To hear the Voice of the Great God come from the Mountain. The Unseen God, whose vision and voice comes to the prophet. And the voice of MARDUK came out of the Mountain [pyramid]. “I am the voice of the God who cannot be here. I am the voice of the God who is in the hearts of all men. I am the voice of the God who appears in many faces. But worship the Eternal Source of All Being & Creation. I am not only the voice of your God, but also your commander. “Live piously and by the Union Code [Tablet] of the ANUNNAKI. For there is no longer any religion higher than the Source. And not to sacrifice the life which has been made possible. With perfected choice will be the former, so is the will of God. There is no pleasure to be gained from the wasteful shed of blood. And this is all that is asked of you in this life. When their efforts could be better spent in prayer and praise. When it could be better distributed among the poor. Bring the God of Life no more vain offerings of flesh. Pray and live a pious life at one with creation. How hard is this? For only prayer and devotion is asked of the God of All. Do not deny yourself of a happy existence in the name of God. Never let your livelihood be neglected because you worship God.